Resident Evil 2 Live Action Trailer Honors Romero's Take | Nerd Much? The launch of Resident Evil 2 is just a few hours away. And with the survival horror title receiving glowing reviews across the industry, I’m sure plenty of you are beyond excited to begin adventuring through Raccoon City. Capcom has one final tease for us though before you do. 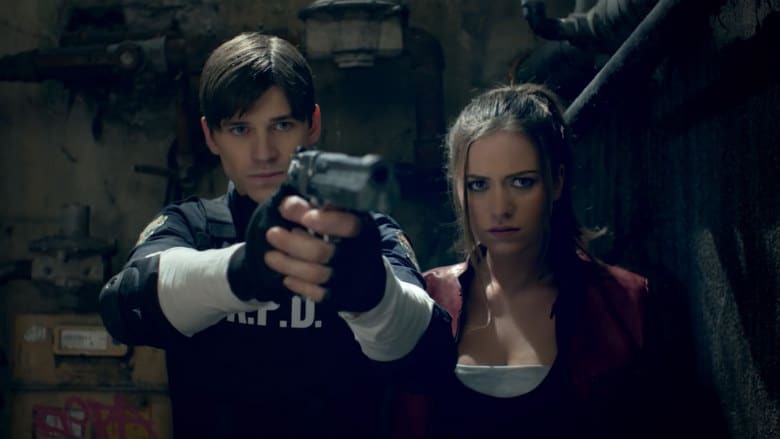 A Resident Evil 2 live action trailer inspired a similar one released in 1998. The original Resident Evil 2 live action trailer was directed by horror legend George Romero. It’s pretty dated now, but when it was released over 20 years ago it was quite the novelty. When you watch today’s reimagining of the Resident Evil 2 live action trailer, the inspiration is obvious. The Resident Evil 2 live action trailer begins with Leon walking the streets of Raccoon City cautiously. He approaches an abandoned cop car, and upon investigating finds a zombie that jumps at him from the rear seat. At this point he knows something has gone terribly wrong, and turns to find a horde of the undead lurking towards him. We cut to Claire Redfield as she slowly walks through the bowels of the R.C.P.D. It doesn’t take long before she too has a zombie reach out to snag her, and she too runs into a horde of undead that she turns to flee from. Back to Leon as he finds a staircase to escape via and slowly walks down it gun drawn. He hears a noise behind him and quickly turns – only to find Claire staring down the end of his barrel. He yells at her to “Get down!”. She does, and Leon head shots a zombie that was looming just behind Claire. Claire then stands up, the duo then side-by-side, with confidence on their faces as they ready for battle. We’re just hours away from the title becoming available for those of us in the States. If you haven’t tried it yet, check out the Resident Evil 2 One Shot demo that launched a couple of weeks ago to help kill some time. And if you haven’t heard, read up on the news about the original 1998 costumes for Leon and Claire that are on the way. Oh, and a new mode too! Those arrive towards the end of March.